New Scalextric track C8268, 45 degree radius 2 curve kerb and barriers. This item consists of 6 pieces; 1 kerb piece, 1 barrier piece and 4 clip pieces. Suitable for the radius 2 curve Scalextric track. 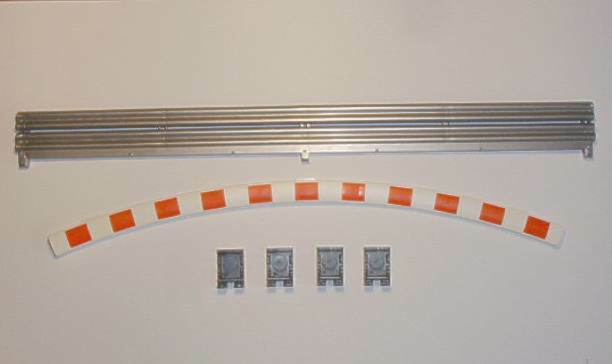 If you are not sure if this Scalextric Sport track radius 2 curve kerb and barriers are for your track layout then please contact us we can help you.